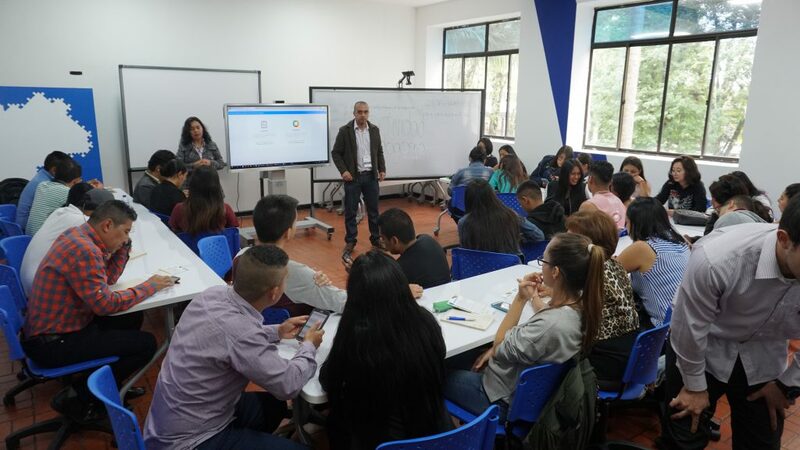 Universidad del Cauca, within the framework of the MOOC-Maker project, organized the International Seminar Educational Innovations and MOOC (SINNEM) in October 4-5 at the city of Popayán (Colombia). The Seminar was constituted as a meeting place and exchange of experiences among experts, speakers and workshops on topics such as: Flipped Classroom, Gamification-Ludification, Inclusion-Accessibility, LMS-CMS Platforms, application of ICT tools in the classroom and Instructional Design of MOOC for rural areas, cultural heritage, higher education, entrepreneurship and child learning. In auditorium 401 of the Faculty of Accounting, Economic and Administrative Sciences of the Universidad del Cauca, participants made contributions in oral presentations, posters and workshops on research topics and creation of learning environments with active methodologies, methodological tools and open and massive online courses. SINNEM is an event supported by the MOOC-Maker projects co-financed by the Erasmus+ programme of the European Commission, the Seminar on Educational Innovations of the InnovAcción Cauca project co-financed by the General System of Royalties and MOOC Mentes co-financed by the Ministry of National Education and the Government of Colombia, supported by the Centre for Quality Management and Institutional Accreditation of Universidad del Cauca.